Tapestry Crochet with the Double Crochet Stitch! Interweave Crochet Spring 2018 is all about tapestry crochet! 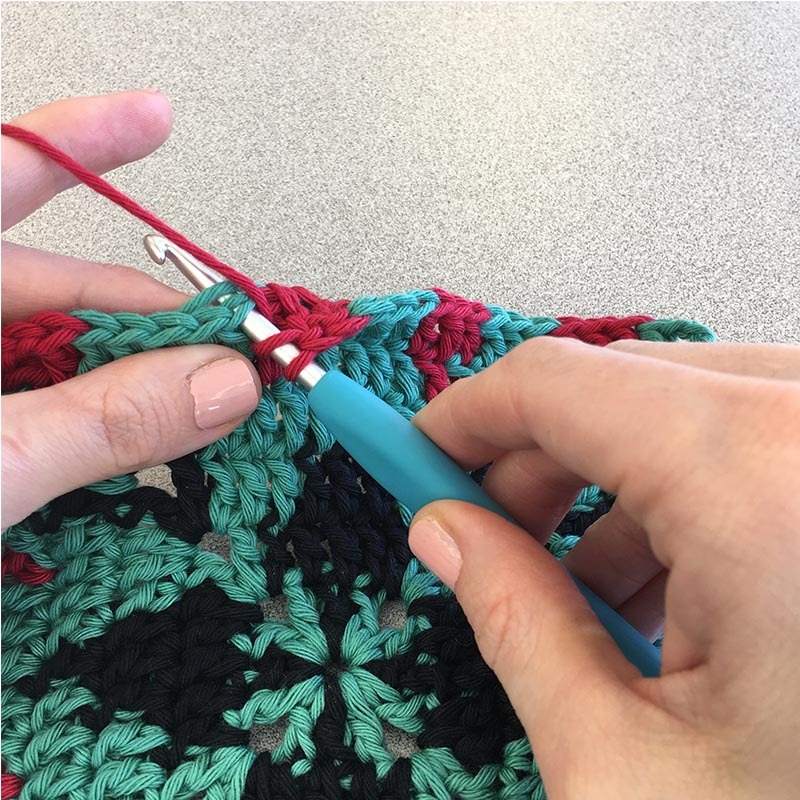 We’ve already shared our favorite tapestry crochet tips and tricks as well as 4 variations on single crochet to experiment with this color-changing technique. 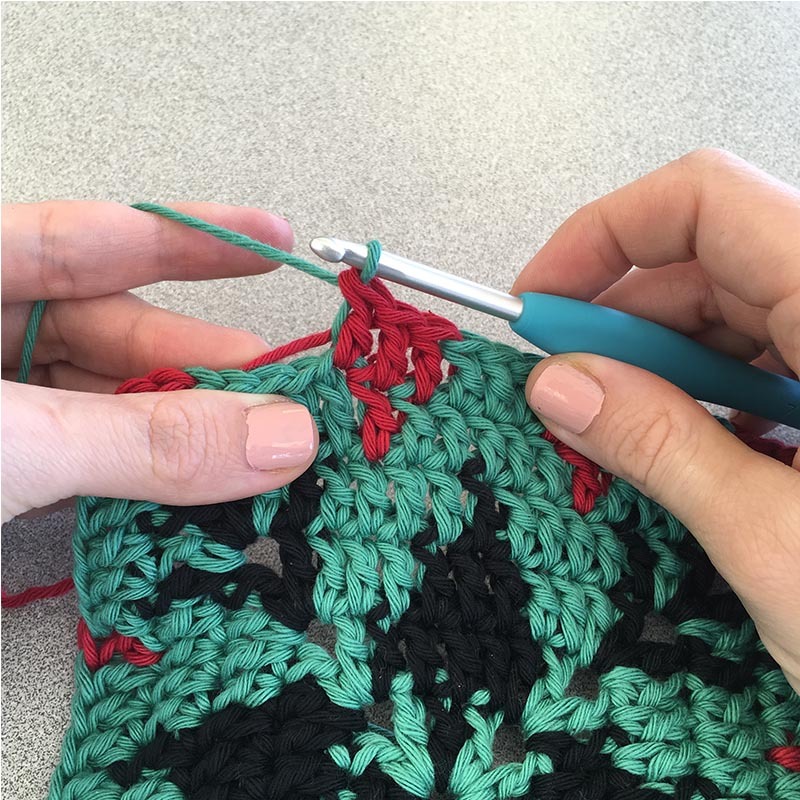 But did you know you can also work the double crochet stitch with tapestry crochet? 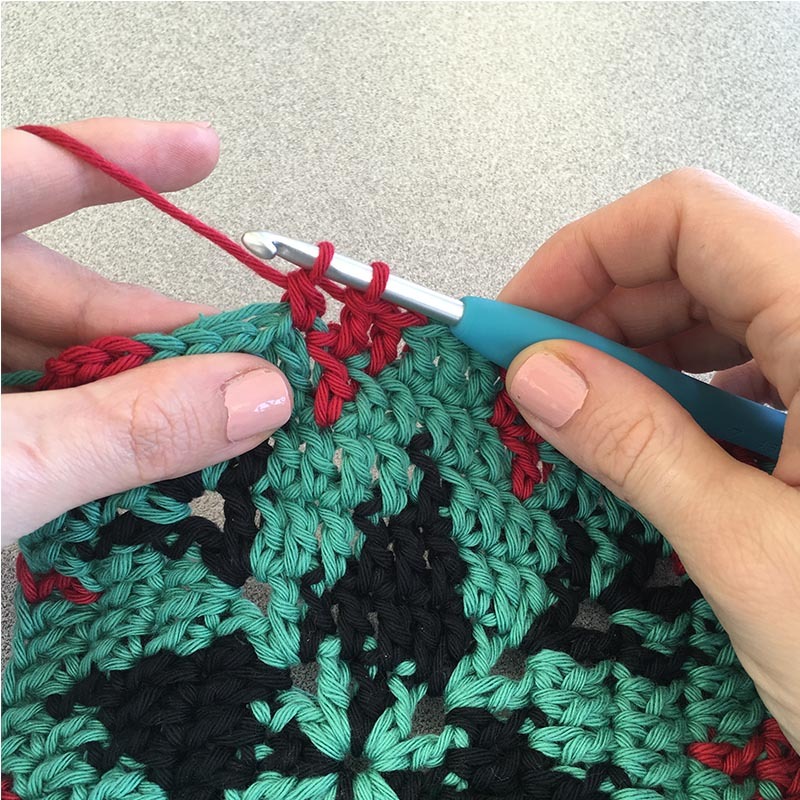 If you’re confused about double crochet and tapestry, here’s a quick lesson on changing colors with double crochet. The secret to color changing applies to all stitches: in the stitch before the color change, work the stitch to the final yarnover, and change to a new color to complete the final yarnover and draw through 2 loops. In Color A, yarn over, insert hook in stitch. In Color A, yarn over and pull up loop (3 loops on hook). In Color A, yarn over and draw through 2 loops (2 loops on hook). Switch to Color B, yarn over and draw through final 2 loops. It’s as easy as that! To experiment with the technique create some colorful swatches using tapestry crochet and the double crochet stitch. 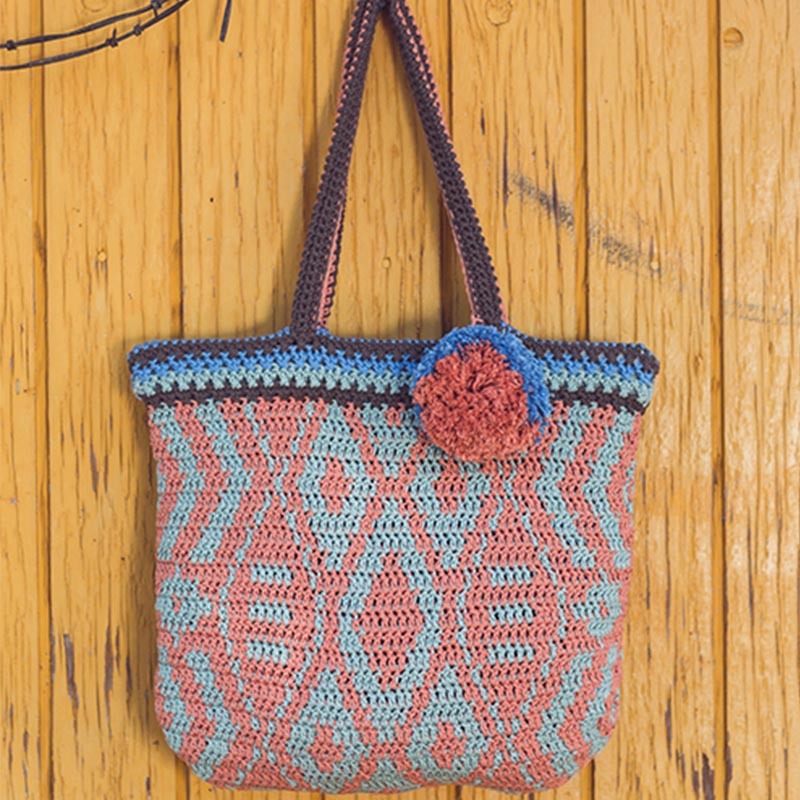 If you’re excited to try tapestry crochet with the double crochet stitch, the Diamondback Tote designed by Nicoletta Tronci is a good place to get started. The tote is worked in rounds and features a lovely geometric diamond pattern in 2 colors. 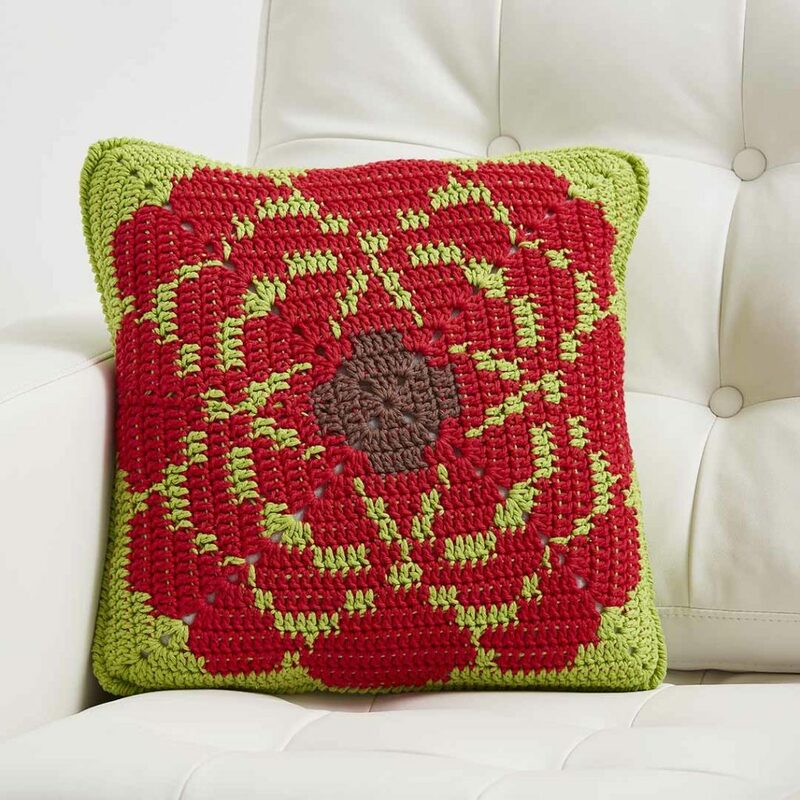 Once you’ve mastered tapestry double crochet, try working a motif in the round! For these projects, you will increase at the corners so the square motif will lie flat. As you work in the round, you will continue to carry the non-working color at the top of the round below it and work your stitches around it. This creates some pretty terrific circular color patterns and allows you to add visual complexity while maintaining only 2 colors per round. 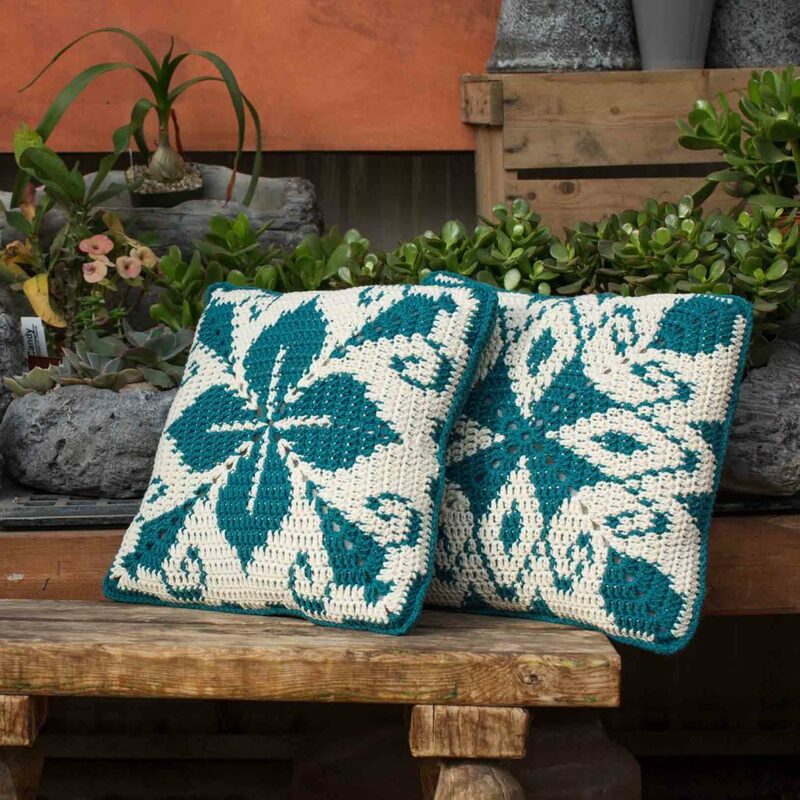 If this version of tapestry double crochet interests you, be sure to check out Nicoletta Tronci’s Sundance Tote from Interweave Crochet Spring 2018. You can also find this technique in Nicoletta’s Azul Pillows and the Camellia Garden Pillow. 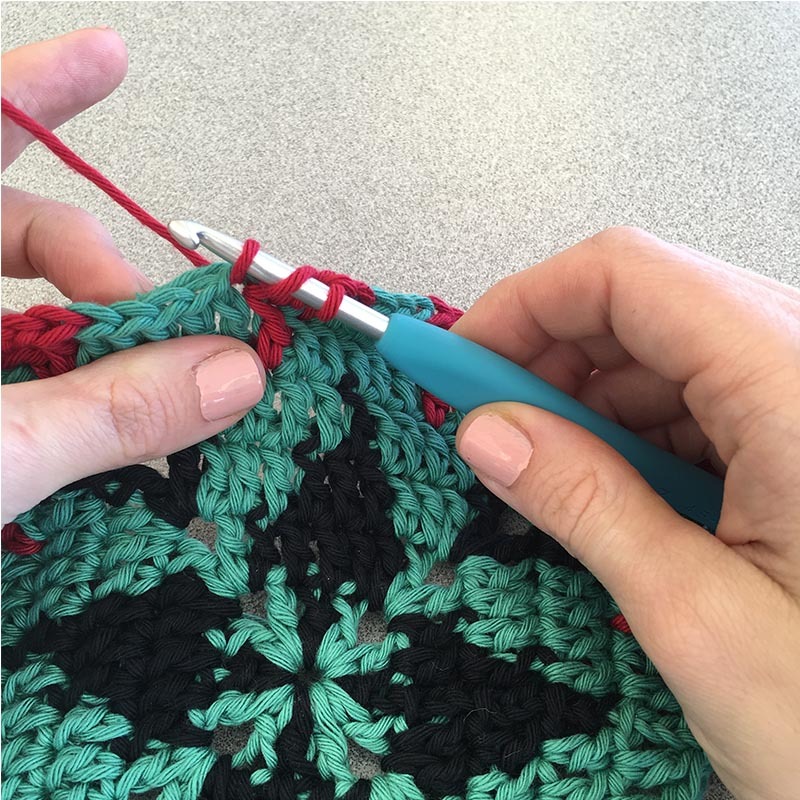 Which projects are you most excited to try with tapestry crochet and the double crochet stitch? Let us know in the comments below!